Art ‘n’ Illusion Hair Salon & Photography Studio, a new concept salon, located in the Julington Creek/Mandarin area of Jacksonville, is an eclectic world style hair salon with a beautiful photography studio located inside. The new concept salon experience features not only stylists to style clients’ hair and apply make-up; but also the opportunity to step into a photo shoot for family portraits, senior pictures, pre- or post-baby, a mother/daughter; special event; or even just for fun. What started as a successful modeling career in Europe, has turned into a love affair with photography, make-up and hair. Anetta’s experience in front of camera has given her natural vision as a photographer. Her ability has resulted in a series of photographic accomplishments including the prestige Fuji Masterpiece Award. Driven by her passion for photography, Anetta Nadolna Wilkerson created the new salon concept. Anetta’s photography had become so successful that she required a larger space to work her magic behind the camera. After purchasing the photography studio, Anetta recognized the opportunity to incorporate her other passions – hair styling and make-up (services she had provided on a full-time basis for many years) – into the concept. To Anetta, it made so much sense to combine both enterprises into one concept and location – the Art ‘n’ Illusion Hair Salon & Photography Studio. The Salon & Photography Studio’s staff includes four stylists, a receptionist, and a nail technician – all had previously worked side by side for many years. Current clients have expressed an overwhelming appreciation for the opportunity to coordinate hair styles and makeup for special events with a photo session to capture the moment. 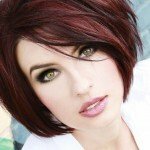 Clients have also enjoyed salon services combined with more casual photo sessions simply to get photos for Facebook, passports, or to give away to loved ones.